The Mantis™ Flare Monitor is an innovative new instrument developed by Providence Photonics. 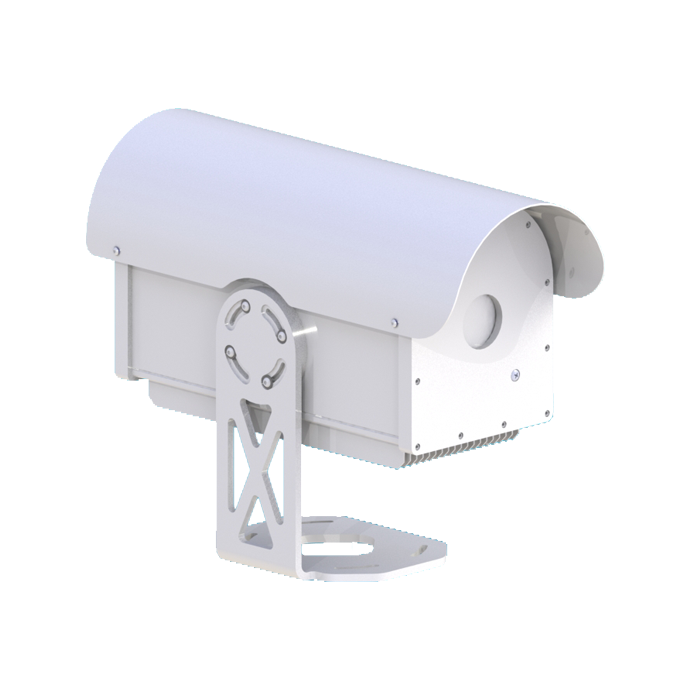 This patented technology utilizes Video Imaging Spectro-Radiometry (VISR) to provide unprecedented capabilities for continuous flare monitoring. Mantis™ provides a flare operator with real-time feedback for important flare performance metrics allowing for optimal flare performance. No longer does a flare operator need to guess about flare performance. Mantis™ provides the data needed for optimization. Since Mantis™ is a remote technology, it can be installed at distances up to 1,000 feet from the flare and never comes in contact with the corrosive process stream. This makes installation and maintenance quick and easy with no need to interrupt flare operations. Directly measuring flare combustion efficiency also eliminates the need to monitor surrogate performance parameters, such as Combustion Zone Net Heating Value. For the first time, Mantis™ makes it possible to operate a flare at the incipient smoke condition, optimizing combustion efficiency while minimizing the use of supplemental fuel gas.